Get your free printable activity sheets here, all with a St Patrick's Day theme! 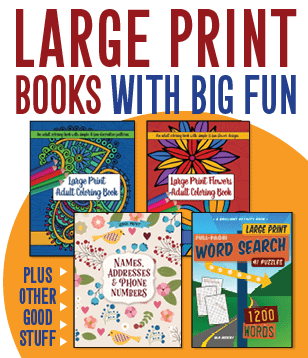 From educational word games to mazes and coloring pages, there's some... See it! Here's a colorful hot air balloon with a fun maze on the side! (Click the image below to get a larger version you can print out to solve.) ... See it! This complicated maze features a couple not-so-angry birds who want to know if you can make it to the middle of this complicated maze. (Click the imag... See it! These two cute birds are watching over a maze that not just anyone will be able to solve! (Click the image below to get a larger printable version.) ... See it! Here's a US map showing all 50 states -- the mainland of America, and also Alaska and Hawaii. (Just click the image to get a larger print-ready versi... See it! Using just three colors, see if you can fill in this Scotty dog patchwork design without using the same color in any connecting spaces! ... See it! Color in America's signature flag, seen here waving in the wind! It has 50 stars and 13 stripes -- stars to represent the number of states now, and th... See it! Here's a blank map of France. You can fill in cities such as Calais, Marseille, Toulouse, Nancy, Nice -- and, of course, Paris! Regular France map:... See it! Optical illusion: Are these lines straight? The striped lines in this optical illusion are separated into four different blocks (going from top to bottom). The lines between each of these block ... See it! Your future scientist can get to know all the components of a microscope with this printable! The real thing will show an incredibly magnified version... See it!